What is the best fishing line for trout? Trout angling is a fantastic sport and hobby. Thousands around the world take part in this fun event and try to catch huge ones. There are many varieties such as the Rainbow, Marble, and Brown. These are usually found in cool lakes and streams and have a distribution found throughout Europe, North America, and Asia. 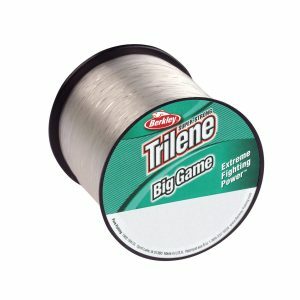 What fishing line to use for trout? Choosing a suitable best line for trout can be a minefield. There are so many varieties available. Furthermore, each type may have a different specification – different strength, material, memory, and length for example. 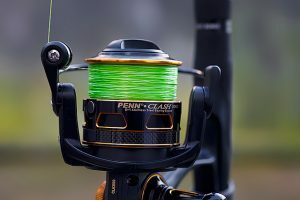 Understand these features so you can make an educated decision when picking your reel for trout. Types of trout lines for fishing trout? 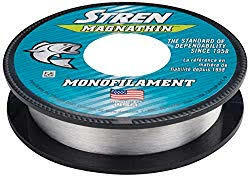 Monofilament – Monofilament filament is the most common and has been around for the longest time. 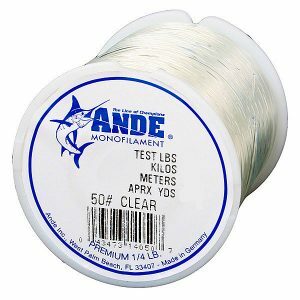 People enjoy using monofilament as it is versatile and is also one of the most reasonably priced lines. Mono line is available in a wide variety of colors including transparent which is a bonus. The only drawback is it has high memory and can kink easily. 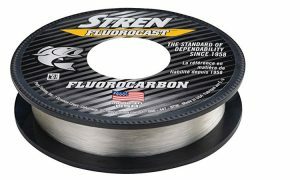 Fluorocarbon – This material has grown in popularity over the last few years. The compounds fluorocarbon is made from make it durable and smooth. Furthermore, it is highly resistant – even if you scrape it on the sea floor, it will maintain its integrity. 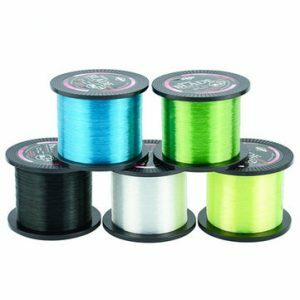 Braided – Braided line is the strongest and is suitable for spinning reels. This material has extremely low memory and will rarely kink or coil up. Braided line is one of the most expensive materials to use, but it will also last the longest. 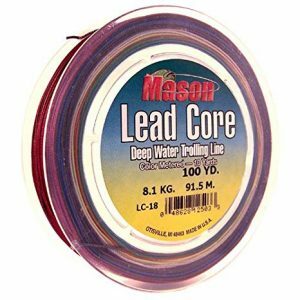 Lead Core – If you fish on open seas or deep lakes, a lead core line could be a perfect choice. For standard trout angling in streams and rivers, this line is not suitable. As you expected, the center of this line is made of lead and is heavier and stronger. What size fishing line for trout? 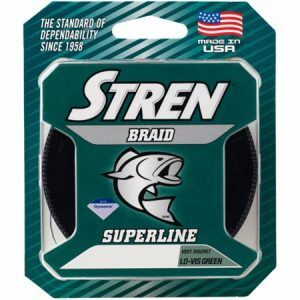 What weight fishing line for trout? Size – When we are talking about size, we mean the diameter of the line measured in millimeters. Diameter can have an effect on visibility, stretch, casting ability, and depth. A thicker line has greater visibility where thinner line is less visible to fish, and the bait will look more realistic too. Weight – Weight, and durability go hand in hand. In most cases, purchase a heavier line if you want greater durability. You would then have to use a heavier lure too. On the other hand, if durability is not an issue (i.e., you are not ice fishing), a lighter line could be suitable. 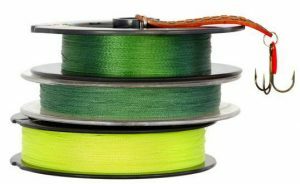 What color fishing line to use for fishing trout? You would think color would have no bearing at all, but it makes a significant difference. Color can alter the visibility of a line. This is a double edged sword – you want the linei to be visible so you can see it move when you have a bite. You don’t, however, want it too visible as the fish will be able to see it clearly and will be scared away. The color depends on where you fish, and what time of day you fish. If you are catching in clear water, you want a relatively low-visibility color wire. This is so fish will not be scared away when they see it. Furthermore, as the water is clear, you will be able to see it easier anyway. Alternatively, if you are angling at night or in low light, you may want to choose a brighter colored line. You will be able to see it easier, and as it is low light, the fish still shouldn’t be able to see it clearly. 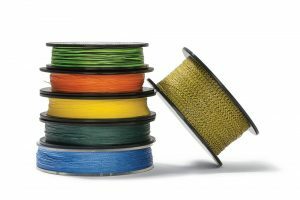 If you want, you could consider buying several color filaments to suit different situations. Durability and sensitivity are two key features of fishing filament. These features are different but play an important part in the overall quality of your filament. Durability – This means how strong your line is. How often will it break under pressure? Ideally, you do not want a filament the snaps under the slightest pressure. You want something durable. The best fishing line is durable – meaning it is also thicker. Sensitivity – The sensitivity of a filament relates to how much you can feel. If a filament is sensitive, you will be able to feel every little pull. You can have a greater fishing experience, and you will be able to bag a catch easier. If your filament is not so sensitive, you may miss out on some catches. 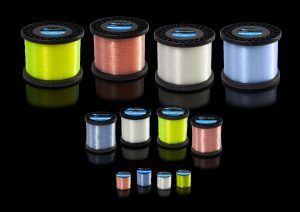 We recommend getting the most sensitive filament when choosing the best angling line for sea angling. Line memory is something that has plagued fishers for years. Since the creation of monofilaments, we have had to contend with memory. This is the process where your lineretains the memory shape of when it is wound in its reel. This can greatly reduce the overall length of your line as it is not perfectly straight – instead, it has numerous kinks and curls in it. A requirement for low memory depends on where you are fishing. For example, if you are in a stream or river, and are not casting far, low memory is not as important. You should have more than enough line regardless. 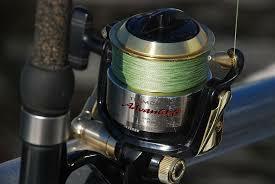 Alternatively, if you are fishing on a lake or in the sea, you will need as much line as you can get. Therefore low memory is essential. Consider your requirements and purchase the best line for fishishing accordingly with a suitable level of memory.